SONOSIM SUMMARY: This observational study designed an ultrasound training program to evaluate the effectiveness and success of incorporating point-of-care ultrasound (POCUS) into clinical care in Rwanda hospitals. With a thorough training program and several competency evaluations, the findings suggest that trainees were able to successfully perform independent patient examinations with good image quality and accurate image interpretation. Additionally, findings suggested that ultrasonography was able to provide diagnostic information which impacted clinical decisions. These decisions were related to many forms of patient evaluation ranging from medication administration to specialty transfers. With these observations and findings, the study suggests that their results confirm the value of POCUS in a low-resource setting and that further research and efforts would be beneficial to patient care in these environments. Henwood P, Mackenzie D, Liteplo A, et al. Point‐of‐care ultrasound use, accuracy, and impact on clinical decision making in Rwanda hospitals. J Ultrasound Med. 2017;36(6):1189-1194. Few studies of point-of-care ultrasound training and use in low resource settings have reported the impact of examinations on clinical management or the longer-term quality of trainee-performed studies. We characterized the long-term effect of a point-of-care ultrasound program on clinical decision making, and evaluated the quality of clinician-performed ultrasound studies. Rwandan hospitals. Physicians then used point-of-care ultrasound and recorded their findings, interpretation, and effects on patient management. Data were collected for 6 months. Trainee studies were reviewed for image quality and accuracy. trainee-performed examinations was 94 and 98%. Point-of-care ultrasound use most commonly changed medications administered (42.4%) and disposition (30%). A point-of-care ultrasound training intervention in a low-resource setting resulted in high numbers of diagnostic-quality studies over long-term follow-up. 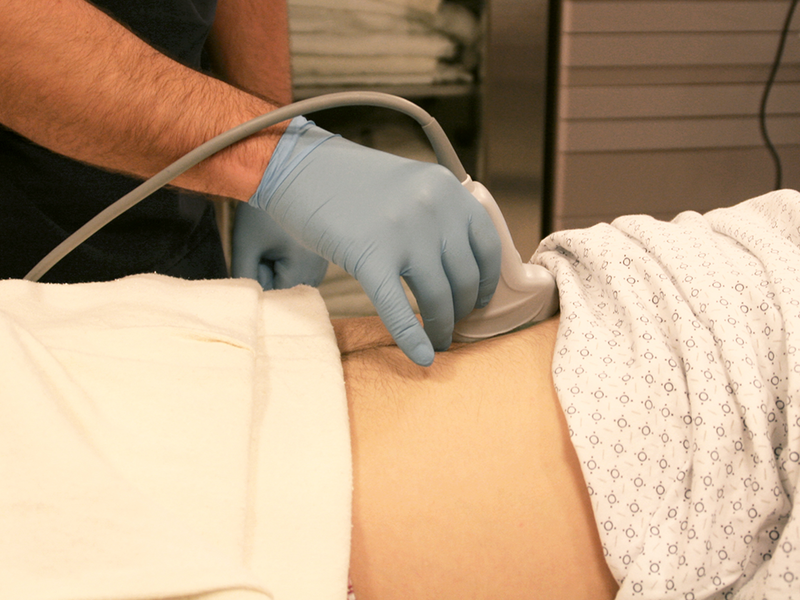 Ultrasound use routinely changed clinical decision making.